Florence is one of the most amazing holiday destinations in Europe mainly because of its culturally and historically significant cities. Although it is quite small in size compared to other cities, it is well known to provide an intense feeling of intimacy and romance. Also, it has some remarkable restaurants, galleries, and museums that keep it the ideal holiday destination. As a visitor, every moment spent in Florence has the potential to blow your mind. 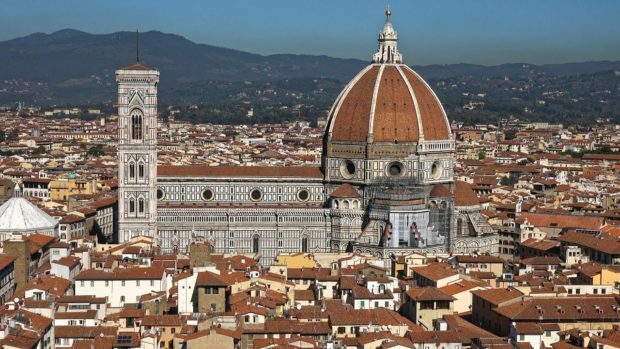 Also, this destination is known for its exceptional architecture and art incorporated into magnificent hotels like the Brunelleschi and modern buildings like the New Florence Opera House all around that gives the city its reputation for being a marvel. If you are looking to enjoy the wonders of Florence in the most remarkable ways possible, then Brunelleschi hotel will provide you with all that. From luxury suites to exquisite restaurants, you are sure to have an exceptional, peaceful and romantic getaway. Brunelleschi hotel provides you with great accommodations located at the heart of the city center with state-of-the-art facilities and excellent views that stares down remarkable monuments like the Giotto’s bell and Brunelleschi’s dome, the Ghiberti tower, dated back from the Middle Ages and Palazzo Vecchio. You can also choose a room that best suits your taste and budget from our numerous choices and kinds of rooms that ranges from cozy and intimate to luxurious and elegant to suit your varying needs. But be assured that whatever your choice may be, a Brunelleschi hotel guarantees total comfort and the best services. This article is, however, shedding light on the Brunelleschi suites. The provision of the variety of suites is to ensure that you get the perfect luxury suite in Florence the or meet your individual needs. These are the varying different kinds of suites available at Brunelleschi. Duomo Suite: this suite is practically a room that has a view of the Duomo. Pool Suite: fully equipped with sophisticated and large bathtub and Jacuzzi on the terrace. Bargello Suite: it has the view of the famous Santa Croce Church and Bargello. Balcony Suite: has a balcony that can serve as outdoor relaxation and also view the Palazzo Vecchio e Via del Corso. Pagliazza tower Suite: this suite is in the medieval Pagliazza building, and it displays its original stonewalls and vintage looking round bed. Two Room Suite and Penthouse Apartment: this suite is suitable for families because it has two connecting rooms. Transfer to and from Florence airport or S. Maria Novella railway station. Early morning check-in (9:00 am) and late night check-out (5:00 pm) that depends on the availability. Assistance in luggage unpacking and preparation upon arrival. Welcome drink with Perrier Jouët champagne. When it comes to taking a holiday in Florence, Brunelleschi hotel should be your destination hotel as we are sure to ensure that you have the best time possible with luxury suites and top-notch facilities and services at your disposal. As customer satisfaction is our top priority, be sure to enjoy the best that Brunelleschi hotel has to offer.